Reba: My Story is Reba McEntire's autobiography. With the help of Tom Carter, Reba writes about her life from her childhood on a ranch in Oklahoma, through her success as a Country Music star and all of the ups and downs in between. Reba'a down to earth writing style will connect with her long time loyal fans as well as new fans from her work on Broadway and television. 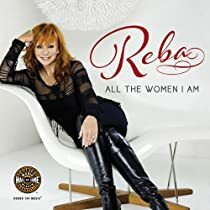 Reba: All the Women I Am is a 96-page, full-color book featuring never-before-seen photographs, personal memorabilia, treasured artifacts, and more from Reba's iconic career. This book was printed in conjunction with the Reba Exhibit at the Country Music Hall of Fame and Museum. See Reba as a singer, actress and entertainer from the recording studio artist, an artist in concert, Broadway star.